Helioptile in game: 12,879 Who? Important notice! Pokemon Helioptile is a fictional character of humans. Helioptile (Japanese: ????? Erikiteru) is a dual-type Electric/Normal Pokémon introduced in Generation VI. It evolves into Heliolisk when exposed to a Sun Stone. 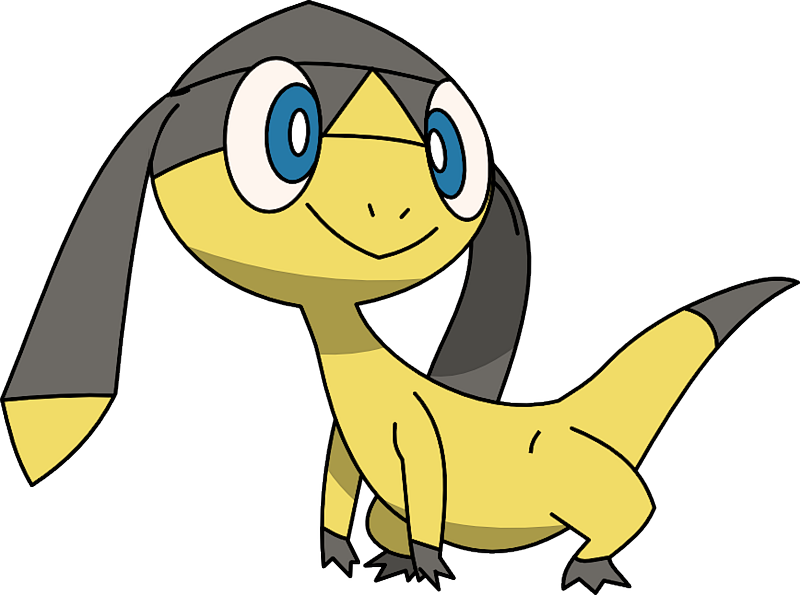 Helioptile is a small, lizard-like Pokémon. It has a tapering tail, short legs, and small feet with three pointed toes on each foot. Its body is pale yellow, while its feet and the tip of its tail are black. The top of its head is black as well with a small triangular yellow patch between the eyes. It has two long, black pointed frills with yellow tips hanging from the sides of its head, which can stiffen and unfold. These frills have cells which generate electricity when exposed to sunlight. It has large eyes with blue irises and white pupils. Helioptile can generate its own energy from sunlight, so it can thrive without food; it will still eat if needed. It lives in deserts. It and its evolution, Heliolisk are the only known Pokémon capable of learning Electrify. Helioptile made its debut in The Journalist from Another Region!, under the ownership of Alexa. It is Alexa's companion Pokémon, often climbing on her back. Helioptile and Gogoat were the first Generation VI Pokémon to appear in an episode of the anime. 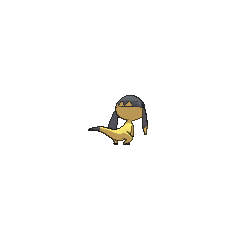 In The Cave of Trials!, a Trainer in Geosenge Town purchased a Sun Stone to evolve his Helioptile into a Heliolisk. This prompted Clemont to reveal that he had used a Sun Stone to evolve his own Heliolisk that appeared in Clemont's Got a Secret! A Helioptile appeared in Making Friends and Influencing Villains!. A Helioptile appeared in Lumiose City Pursuit!, Mega-Mega Meowth Madness!, Day Three Blockbusters!, Battling With a Clean Slate! and even in a flashback in Mega Evolution Special I and Garchomp's Mega Bond! at Professor Sycamore's lab. A photo of Helioptile appeared in Summer of Discovery!. A Trainer's Helioptile appeared in a picture in Battling Into the Hall of Fame!. Three Helioptile appeared in The Future Is Now, Thanks to Determination!. A Helioptile appeared in A Fashionable Battle!. A Trainer's Helioptile appeared in Adventures in Running Errands!. 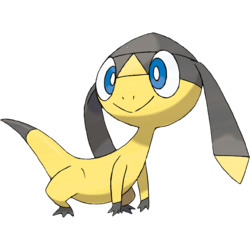 A Trainer's Helioptile appeared in XY135. Two Helioptile appeared in XY138, each belonging to a different Trainer. BW134 Helioptile Ash's Pokédex No data. Alexa owns a Helioptile, named Heli, which debuted in An X-cuse to Come Out and Play. Helioptile appears in the background of the Prism Tower stage. A very timid Pokémon that makes its home in arid deserts. The necktie-like frills on either side of its head can be stretched out to absorb sunlight, which Helioptile then uses to generate electricity. Thanks to this energy source, it can even survive without food. If your phone runs out of battery in the desert, why not ask this guy for help? They make their home in deserts. They can generate their energy from basking in the sun, so eating food is not a requirement. The frills on either side of its head have cells that generate electricity when exposed to sunlight. Moves marked with a superscript game abbreviation can only be bred onto Helioptile in that game. Discharge Electric The Future Is Now, Thanks to Determination! 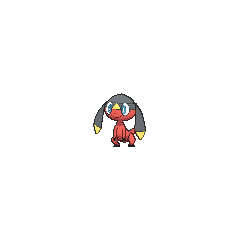 Can replace a disruption with this Pokémon. 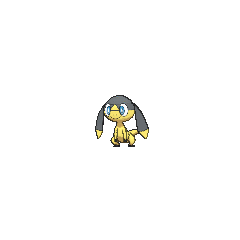 For other sprites and images, please see Helioptile images on the Bulbagarden Archives. Helioptile is the only Pokémon with a base stat total of 289. No other Pokémon has the same type combination as Helioptile and its evolution. Helioptile is the only non-Grass-type Pokémon that evolves by using a Sun Stone. Helioptile is probably based on frilled-neck lizards, though its frills also resemble those found on Phrynocephalus mystaceus. It may also be based on the spotted salamander, a salamander that can photosynthesize. Its ability to learn Surf may be a reference to the common basilisk, a reptile capable of running on water for short distances. Like what its German name suggests, Helioptile may be based on the iguana too. Additionally, it shares few resemblances to the leopard gecko. Helioptile is a combination of ?λιος helios (Ancient Greek for sun), heliophile (organism attracted to large amounts of sunlight), and reptile. Erikiteru may be a combination of elekiter, ??????? erimaki tokage (frill-necked lizard), and ?? teru (to shine).